I met and fell in love with my husband over 10 years ago shortly after he joined the military. I waited for him to come home from deployment and he waited for me to graduate college. We had a smaller wedding ceremony and married almost 7 years ago. We have 3 little boys who are our world. They’re curious and love to discover. For the most part they’re very well behaved, but a lot of times their energy gets the better of them. Basically we can’t have nice things yet. I’m a stay-at-home mom who now works about once a week or so. I wish I would’ve started part time work sooner because I love getting out of the house. I fully admit I love leaving the kids with my husband for adult time. Not to mention I love being able to earn spending money for us to go out. I’ve been blogging for over a year now. 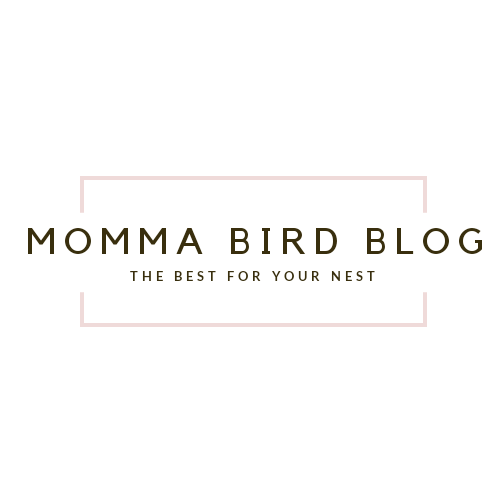 Aside from Momma Bird Blog, I’ve blogged for Mom’s Beyond and my county. I realized I took on too much work and wasn’t able to keep up with everything. I do love to write though. I mostly like to write about the challenges of motherhood. There are so many; mom guilt, stay-at-home mom problems, self-care, how to pinch pennies…. Most of the things I write about have affected my life, which is why the topics are so broad. And a few of the articles I wrote because I know they are concerns for other parents. Some of the challenges I’ve faced were when my husband deployed, a couple emergencies that involved me dialing 911, financial strains, NICU visits, and baby blues. There are other challenges I faced that I choose not to talk about too. Most of these things happened within a 2 year span. I must’ve put on a pretty good front for a while, but eventually the stress of it all caught up with me. And I’m not going to lie, I was extremely unhappy. Since then I had to “pull-through.” No one could help me, but me. I had to force myself to be positive, embrace my faith, accept help from friends and family, and try to be healthier. This better-me journey has been accompanied by essential-oils and finding ways to destress. I think one of the things that has helped the most is knowing that I’m not the only one struggling. Now I’m writing which I love, despite that I don’t get anything out of this except to maybe help someone. And now I’m dreaming again. I have a whole new platform to learn as I would love to be a published author! But I won’t be disclosing hints for what I want to write about just yet. That you are stronger than any challenge you face. And just because you’re a parent doesn’t mean you can’t have dreams. No one ever talks about how hard raising kids would be. They don’t talk about the struggle with themselves. Sending hugs and good vibes your way!